Ottawa Citizen's 2011 federal election notebook. 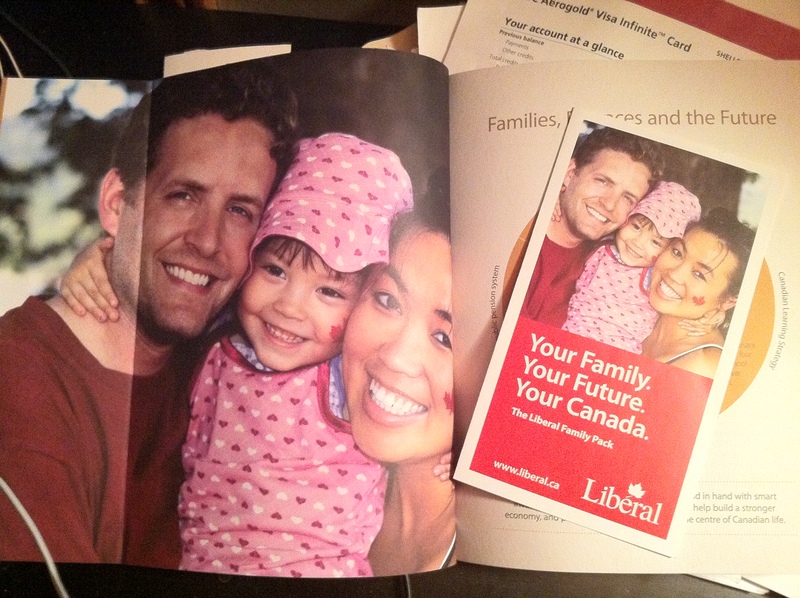 The centrepiece visual image in the platform bumpf the Liberals handed out today is a photograph of a young, mixed race family with red maple leaves painted on their cheeks. Given all the attention I’ve heaped ad nauseam on the use of stock photographs by political parties,one might reasonably assume that this picture, at least, wasn’t purchased from some online photomart, right? Right?! Well, no. 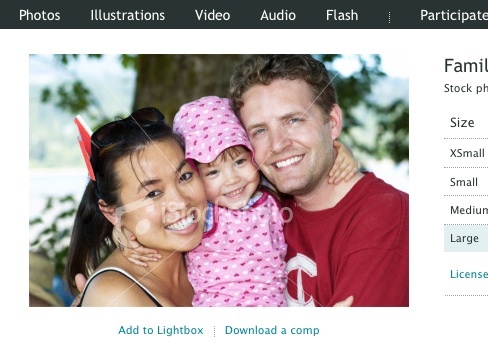 Actually, this picture is also a stock image, taken by Maple Ridge, B.C., photographer Ron Comeau and sold on istockphoto.com. Okay, so, the picture was purchased online, but at least they’re Canadians. And since they’re in the Liberal platform, can we assume they’re party supporters? “I’m from the West,” Comeau explains when asked about his political orientation, as if that fairly emphatically answers the question. And for bonus points…. 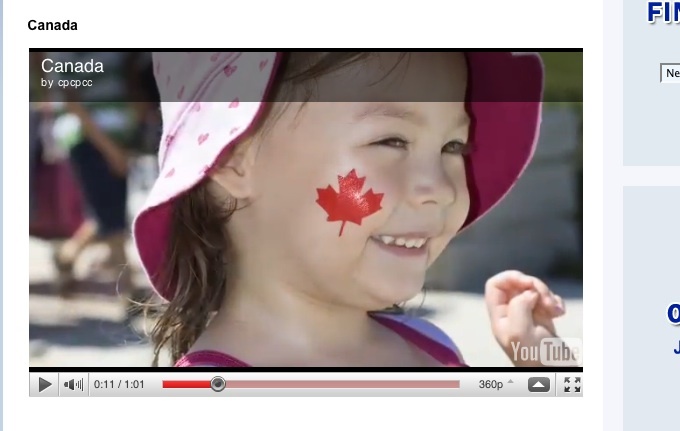 Abigail also appeared in the Conservative TV commercial released in January. When I last wrote about stock photos, I was derided on the comment boards as naive and/or a nutcase out of touch with realities of modern print advertising. I still maintain that I don’t like be lied to with photographs any more than I like being lied to with words. This entry was posted in Uncategorized by Glen McGregor. Bookmark the permalink. Excellent post. I agree. As if any political got-to hack doesn’t have a handy camera! It is supposed to not only represent constituents, but be constituents.